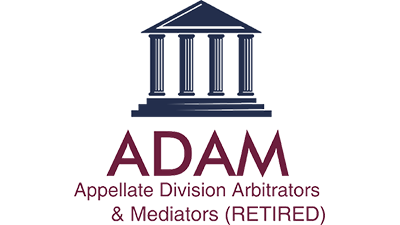 In mediation, an experienced ADAM mediator works with the parties to help them reach a voluntary resolution to their dispute. After a joint session to introduce the process, the ADAM mediator meets with each party privately. In these private sessions, the mediator discusses the strengths and weaknesses of each party’s case, explores potential outcomes and offers feedback on party’s positions. Anything discussed with the mediator privately is not relayed to the opposing side without permission, so parties will never bid against themselves. Parties may choose a facilitative mediator, an evaluative mediator or a mediator who integrates both techniques. Your ADAM Consultant can help identify a mediator best suited to your case type and your style preference. Whichever type of mediator you choose, the process is non-binding. If a settlement cannot be reached, the parties leave mediation and can continue negotiations or prepare for trial.